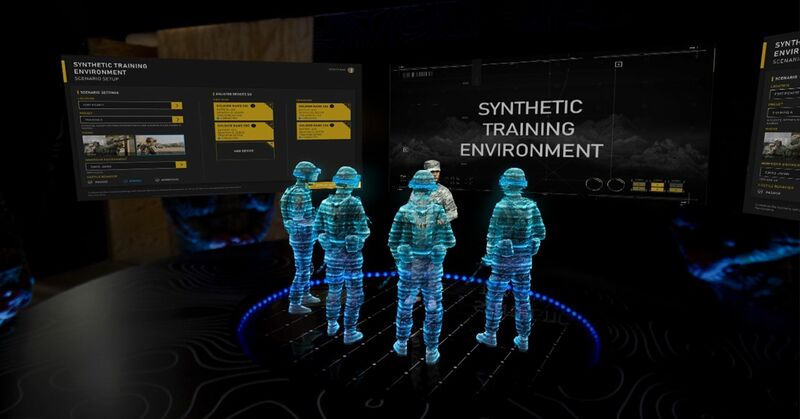 Primarily, IVAS’s main function during combat is managing the coordination and communication between soldiers, in almost the same way as a videogame. For lack of a better word, one of the features CNBC was able to experience was a real-time 'mini-map' projected onto the floor that displayed the location and direction of teammates. 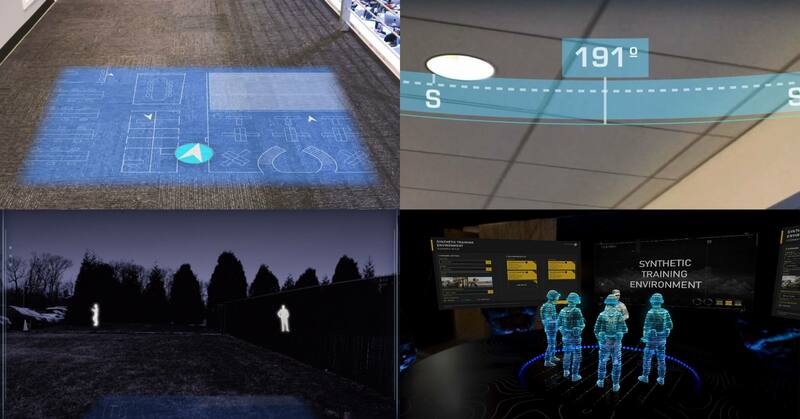 It could also be used to highlight the real-time location of enemies or targets or to map out escape routes. To provide data when a soldier is unable to check the map, a compass ring is displayed at the top of a soldier’s vision, giving information like the soldier’s bearing, and the direction and distance to their teammates. While IVAS can be very potent in these situations, where it really shines is negating disadvantages to give one side the edge. Say, for example, a raid a night – the IVAS, equipped with a thermal imaging sensor developed by Flir, is far more powerful than regular night vision goggles. While regular goggles glow in the dark, IVAS is harder to spot. Regular night vision goggles might give false readings for vehicle engines or animals. IVAS recognizes the shape of a person and highlights them in bright white so they stand out more. The list of advantages is long. “With current night vision, smoke can blur what you see. With thermal, you can see through the smoke and engage and destroy a threat. This is a game changer on the battlefield,” Under Secretary of the Army Ryan McCarthy said. He believes it’s a strong deterrent against attacks at night, as the IVAS is such a powerful tool. However, the IVAS isn’t anywhere near battlefield ready, it’s too buggy, sometimes crashes, and can’t fit under a helmet. So for now, the army is focusing on using it for training. While certain features, such as those above, might be enabled during simulated combat, it’s more useful after the smoke has cleared. 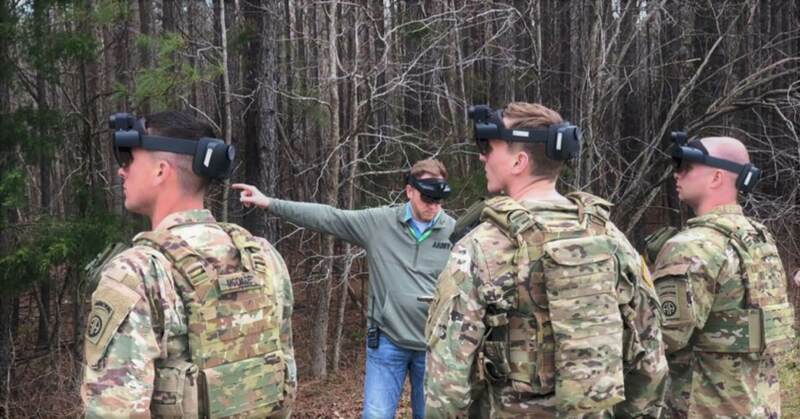 After a battle soldiers can view anything from their heart rate to metrics like accuracy, speed, and timing, and experts can evaluate battlefield decisions while viewing first-person footage. “This system is next-level training and for the future of Marines,” one soldier said, very excited to be using the device. Of course, that’s where the moral debate comes in: the IVAS has potential to make soldiers dramatically more dangerous on the battlefield, but does it go too far? In February, over a hundred Microsoft employees signed a letter demanding that the IVAS contract is canceled, and they received strong support from members of the public. Microsoft said they were willing to shift employees to other projects, but that they would honor the contract. McCarthy responded saying, “I appreciate their concerns, but these are the same men and women that are protecting their freedoms so they can develop this technology … We have a responsibility to communicate with these companies, but we need the best of American business. We want their help and we need their help." He argues that the IVAS is about saving the lives of American soldiers and protecting the public, not about killing. Either way, even at the end of Microsoft’s two-year contract, the IVAS may not be battle-ready. While one optimistic commander believes it could be shrunk down to the size of large sunglasses in six months, others predict that it could take years. Probably more pressing though is the instability of the device, which still sometimes requires a restart during simulated battle. "...future of Marines,' one soldier..."
People in the Army are soldiers, people in the Marine Corps are Marines. So, a hacker could make the marines kill each other, while thinking they are shooting the enemy? LOL.